Oh, no – the holiday season is here, and there is still so much you have to do. There is shopping, cooking, baking, decorating, and spending time with friends – let alone worrying about getting your house clean for that special party or your visiting guests. Well, you’ve been good this year, so why not give yourself the gift of help from the cleaning professionals at Rosie’s? This month I wrote about the Top Holiday cleaning tips on our blog, in case you missed it. These are my top Christmas cleaning tips to prepare your home for the hectic holiday period. Christmas is a time for family, so relax with yours while Rosie’s Cleaning Service prepares your home for the holidays. Hiring our professional cleaning services will also give you extra time for gift shopping and party prepping. STANDARD CLEANING: Get your house party or visitor ready with our standard cleaning service. Here we offer surface cleaning in the bedrooms, including dusting and vacuuming. We help clean your bathrooms, including toilets, sink, shower, floors, mirrors and tub. In the kitchen we clean the counters, floors, wipe down the fridge, microwave, toaster, stove, and other appliances. We can even do laundry and ironing for a small additional charge, in case you have fallen behind on these vital household chores. DELUXE CLEANING: Deluxe Cleaning is an upgraded cleaning package that includes all of the items in the standard cleaning package, plus additional services for an even more thorough cleaning. Extra services can include carpet cleaning or window and blind cleaning. AFTER PARTY CLEANING: This cleaning plan is perfect for assistance with guest preparation or after-party cleaning services. We are available to get your home or business in entertaining shape, make sure all rooms are clean and guest ready, help with food preparation, serve food and drinks, and return your location to pristine condition. Other services include pressure washing and exterior cleaning to make the outside of your home look more welcoming, too. If these options don’t suit your needs, we will even work with your special needs to develop a custom cleaning plan for your home or business. Keep our cleaning experts in mind for all your holiday cleaning and entertaining needs. We are licensed, bonded, and insured with liability and workers comp. SPECIAL OFFER: We’re offering a winter cleaning special from now until Dec. 23rd. Get 6 hours of cleaning for $220 (reg. $350). EVERYONE LOVES A HOUSE CLEANING! Call us at 805-698-3132 to order a gift certificate for your over-worked wife, sister, brother or mother in your life! Our Santa Barbara maid service is available for residential cleaning, food preparation and service, and party cleaning service. 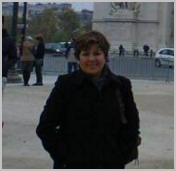 If you are the one who will be traveling for the holidays, let us handle the dog sitting and house sitting for you. When your home needs a place lift, contact Rosie’s Cleaning Service! An after party cleaning is what I need right now after the Christmas and New Year celebrations. This Santa Barbara cleaning experts provide quality cleaning service to the area not only to homes, but also to commercial spaces. 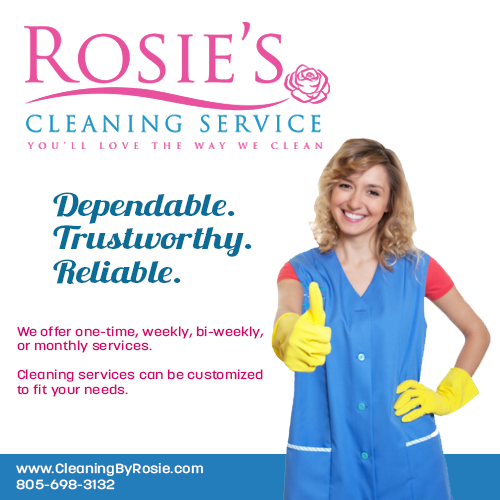 I wish you success in 2017 Rosie’s Cleaning Service!